Stand A020, Inter Airport South East Asia 2017, 15-17 February 2017, Singapore Expo. BEUMER Group – a leading global supplier of automated baggage handling systems – will feature an end-to-end tote-based baggage handling and transport system in an immersive, virtual-reality tour on Stand A020 at Inter Airport South East Asia 2017, from 15-17 February 2017, at the Singapore Expo. Based on the CrisBag® system, the tour will allow visitors to the BEUMER Group stand to experience the speed and efficiency of tote-based baggage handling via an Oculus Rift virtual-reality head-set. The tour will also reveal why many airports consider the tote-based system to be the next generation in energy-efficient baggage handling. The system’s ‘one bag per tote’ concept also enhances security and process efficiency by providing 100% tracking and traceability by for each item of baggage throughout the check-in, sorting and screening processes. The CrisBag® system is the one of the world’s most widely-installed tote-based systems and is already installed in a number of international airport hubs including Changi Airport in Singapore. At Changi, CrisBag® is used as a dual-purpose system for sorting baggage and for extensive baggage transfers between Terminals 1, 2 and 3. A CrisBag® system has also been installed at Abu Dhabi Airport’s new Midfield Terminal and additional CrisBag® systems are installed for Changi Airport’s new Terminal 4 building and at Calgary Airport, Canada. Other baggage handling systems from BEUMER Group’s Crisplant range have been installed in airports throughout China, including Shanghai Pudong, Guangzhou, Hong Kong, Changsha and Nanjing. “BEUMER Group is helping airports throughout south-east Asia to respond to increased market demands by providing state-of-the-art technology and guidance on best practice. 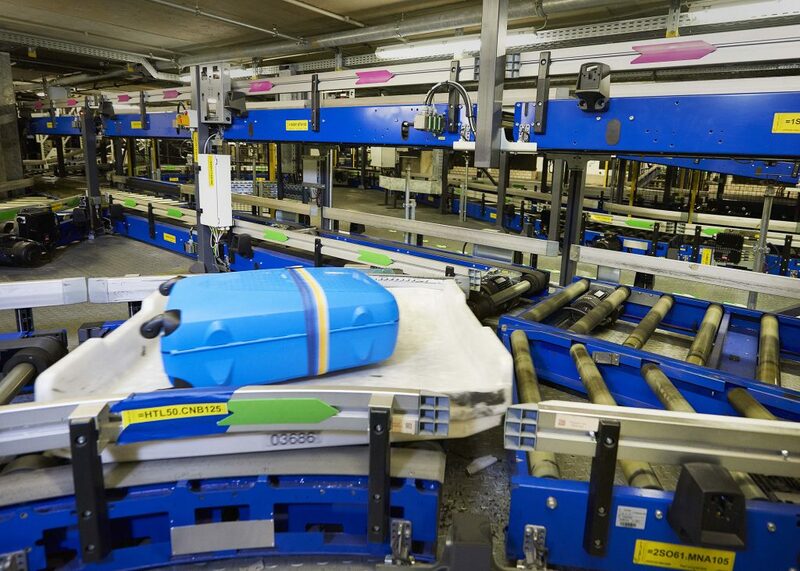 This combination enables airports to increase the capacity and efficiency of their baggage handling systems whilst minimising energy consumption,” explains Klaus Schäfer, Managing Director, BEUMER Group A/S.